The Ulster Farmers’ Union says the government’s import tariff plans for a no-deal Brexit would devastate Northern Ireland’s farming industry. 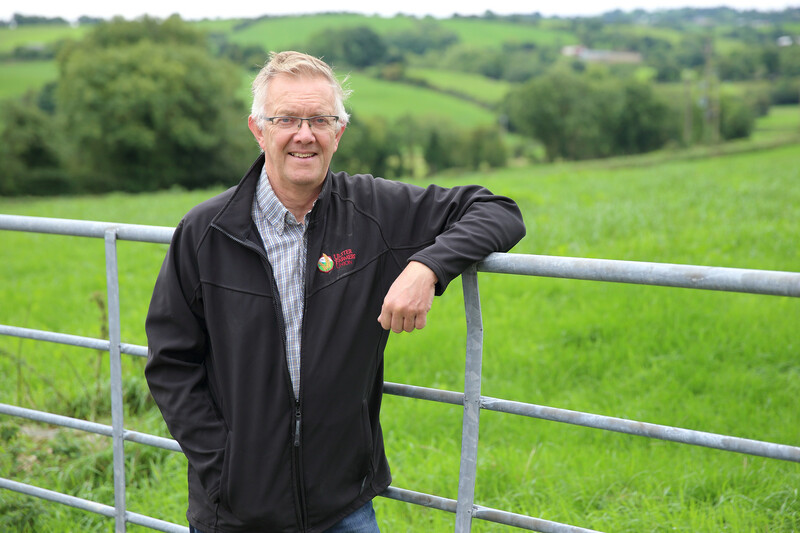 UFU president, Ivor Ferguson, says the plans are further proof that a no deal Brexit would have catastrophic consequences for Northern Ireland. “We have very real concerns about the proposal for a zero per cent tariff on agricultural goods coming from the Republic of Ireland (ROI) into Northern Ireland and the differential treatment with ROI and GB trade where tariffs will apply. This would drive down prices and hit producers here. It could also potentially open the door to illegal trade which would seriously impact on the integrity of the NI agri-food industry. It is unlikely the EU would offer the same zero tariff to Northern Ireland or the UK as a whole. This is why we have called for reciprocal tariffs. Whatever the EU applies, the UK should apply in return. The tariff plans emphasise why a no deal Brexit must be avoided,” said the UFU president. The UFU says it is shocked that the government has only now published the tariff schedules. “Receiving them just over a fortnight before they could come into effect doesn’t give farm or other businesses any time to prepare and is entirely unrealistic,” said Ferguson. The UFU president said there was a measure of comfort in the government heeding warnings and treating some agriculture sectors as sensitive. “We are however concerned some sectors have been excluded and even sensitive sectors will see big reductions in tariff protection. In addition, lumping products together under the same tariff code, for example whole carcases and high value cuts of fresh beef, threatens market distortion and further problems,” said Ferguson. While the UFU accepts the importance of ensuring food prices remain stable for consumers in a no deal situation, it says sacrificing the farming industry and increasing reliance on imports is not the way to do it. “These tariff proposals will not guarantee cheaper food. They would also reduce environmental and animal welfare standards for food sold in the UK. On that basis alone they are unacceptable,” he said. The UFU president said events this week further underlined why a no deal Brexit must be avoided. “This would be the worst possible outcome for family farm businesses in Northern Ireland. The UFU supported the Prime Minister’s Withdrawal Agreement, while not perfect; it would have got us over the line to avoid a no deal. Politicians must sort out their differences and come up with solutions to deliver on their Brexit promises to protect the economy. They must ensure we end up with a workable solution that allows for an orderly exit from the European Union. Walking off an economic cliff cannot be the answer,” warned Ferguson.